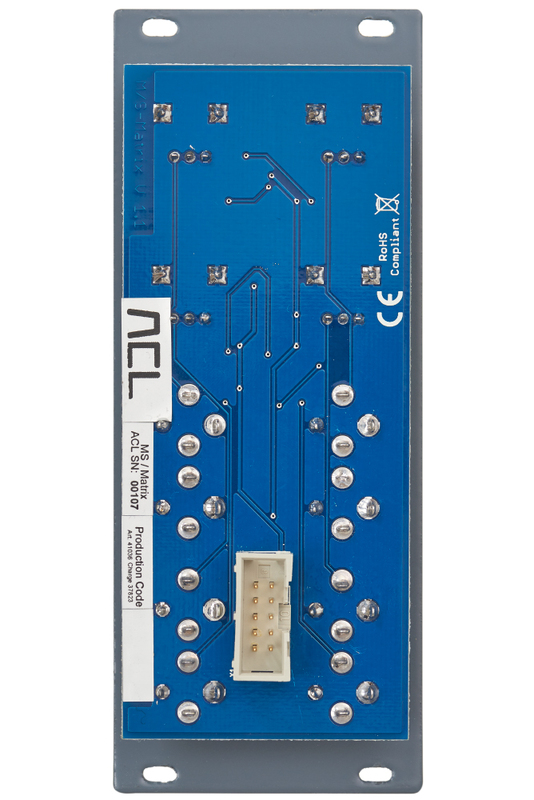 The ACL M/S Matrix module is able to deconstruct a conventional stereo signal, consists of a left and a right channel, into its mid and side signals. 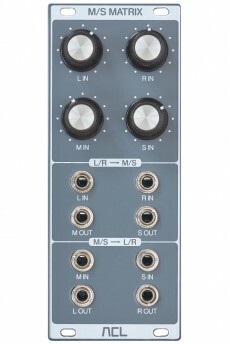 The other way round it can convert a M/S stereo signal to L/R stereo. 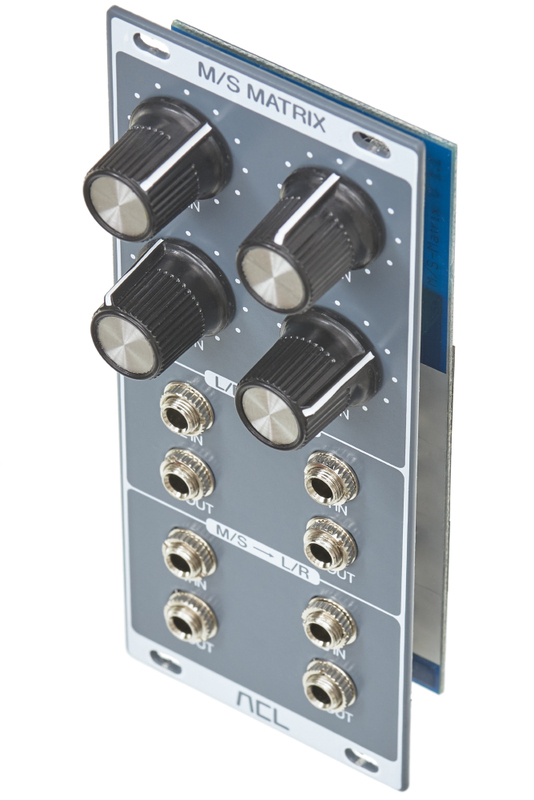 For that reason the module has four bi-directional sockets which carry the left, right, mid and side signals and are either inputs or outputs, depending on the mode of conversion. When you play with the individual levels of left and right, classic panning happens. Something different happens with M/S: A change of the Side signal's level will change the stereo width while changing the Mid signal's amplitude will make the center more or less present but the side signal will remain unchanged! For instance turning up the S signal from zero to max will continuously convert a center mono signal into a wide stereo signal. 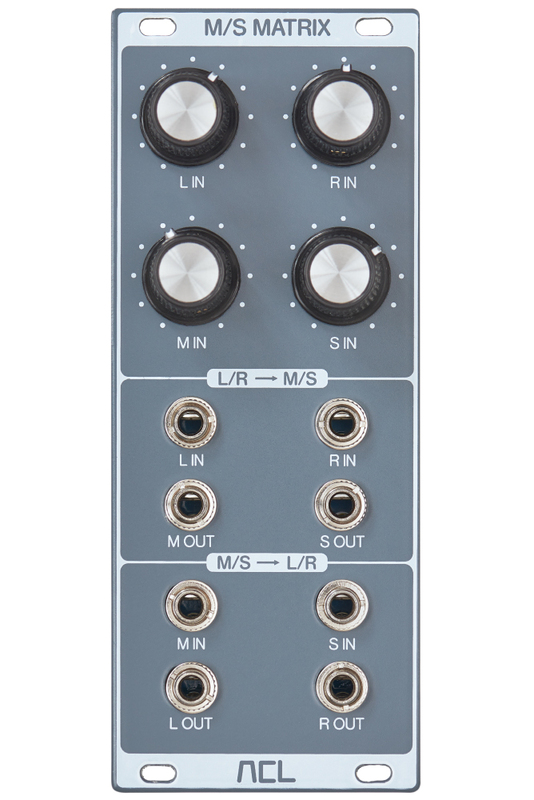 The module offers individual level control for each stereo channel which can be controlled with potentiometers and voltages Besides the aforementioned different compression of mid and side you might as well process sterophonic reverb and change the stereo width of the reverb tail.